While visiting Hataitai School during Book Week recently, I was asked to judge a competition. The whole school had disguised their classroom doors (for NZ Book Week) to look like their favourite books. What a tough decision. All the doors were fabulous. The students put in fantastic effort. Here are a few of my favourites. The Lorax won first place with it’s bright colourful landscape and three-dimensional fluffy truffula trees, which also grew down the hallway! There are photos of the kids all over the grass, each holding mini truffula trees. To be honest, the photos and giant truffula trees really sealed the deal, because 2nd, 3rd and 4th place-getters were so close! Brilliant job! Over the top! Fox in Sox, another Dr Seuss book, was also one of my favourites, winning 2nd place. Students had made bright fluffy socks, decorated with wool and pompoms. Their funky socks were pegged on washing lines, with fluffy clouds floating over head, making it look like Fox’s washing day. Well done. I love it! Third place went to The Rainbow Fish by Marcus Pfister, a book that’s special to me because I lived in Switzerland when it was published in 1992. This class went to the extra effort of decorating the windows and door. These photos really don’t do their work justice! They were much more colourful in real life. Great work. (I first heard it read aloud from a special Swiss-German edition, and it has since been published all over the world and made into a TV series). It looks like a normal wardrobe, but when you open it, a world of adventure awaits you and there’s a familiar solitary lamppost shining in the darkness. Yes, it’s Narnia by C.S. Lewis. This door was brilliant, and battled for a placing. Creative, sophisticated art. The Secret Garden is blooming beautifully in this classroom! What a vibrant range of colour and shapes as flowers of all species spout in this window. A lovely job. Poor Winnie the Pooh (A. A. Milne) has got himself into a sticky mess—yet again! I loved the sign, which reads, DO NOT DISTURB — HONEY TIME! Great work team! The Hungry Caterpillar by Eric Carle was a great team effort by a junior class. The caterpillar’s body segments have each been hand painted, and kids have made all of his favourite foods. He’s a very lucky caterpillar indeed. (The sunny day meant that this little caterpillar had crawled into the shade, so I couldn’t photograph him properly). Good job! A Door for Every Book! A library of favourites is on this door. This last door includes a whole library of art (left to right, top to bottom): The Day the Crayons Quit, The Three Little Pigs, Fantastic Mr Fox, Lord of The Rings & The Hobbit, Harry Potter, Goldilocks and the Three Bears, and The Witches Field Day. Reading Dragons’ Realm Live – Bloodstains and Roaring! My visit to Hataitai School as part of NZ Book Week also involved quadrillions of questions from keen literary minds, lots of bloodstains (but none on the floor), and some load roaring! Along the way, the students had the say! Click here to find out more! Attack on Dragons Realm 99c now! Phantom Feather Press have put my latest e-book on 99 cent pre-order – so family and friends can grab a cop y before the real price kicks in. But be quick, the offer ends soon. Drums pound the danger signal. Tharuks, monsters from another world, are attacking Dragons’ Realm. Three friends must separate – Jerrick must train as a dragon rider, Benno as a warrior and Reina as a wizard. War grows closer every day. To save their families, they must endure tough training and overcome their darkest fears. Only the upcoming battle will prove their worth. An interactive book, where you choose how you read the story. One beginning, one end and three middles – you choose which order you read them in. Attack on Dragons Realm is the prequel to Dragons Realm – A You Say Which Way Adventure. In Dragons Realm, you are running from the school bullies when you stumble through a world gate, into a world of dragons. monsters and magic. You make decisions as you read, changing the shape of your reading experience. With 22 possible endings, you can read and re-read, experiencing a different stories. Attack on Dragons Realm is also the prequel to Riders of Fire, my young adult series to be released late 2016. After more years writing and honing my craft, I’m now in a position to revise these books. I’m excited. Dragons Realm is a fun, intriguing world I love to explore. 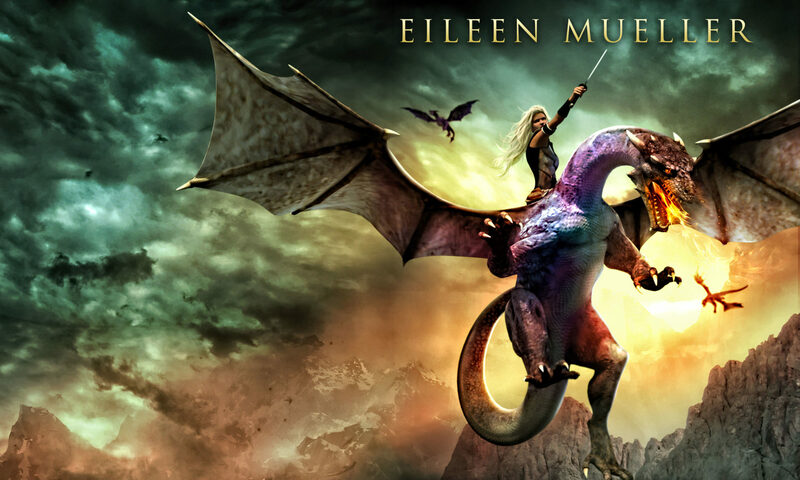 It’s exhilarating – riding dragons, mind-melding and falling in love on dragon-back. I can’t wait to work on these books. In the meantime, Attack on Dragons Realm, suitable for 10-13 year-olds, or Dragons Realm (8-12 yrs olds) are available on Amazon. Attack on Dragons Realm is a fun adventure with exciting action and twists. Attack on Dragons Realm is available in paperback and e-book. Get your copy here now! 99c kindle offer ends soon. Attack on Dragons Realm paperback cover.